The Daqing Oil Field, the largest oil field in the People’s Republic of China and one of the most productive oil fields in the world, faces a high requirement of injection water of about 25,000 m³/day (6.6 MGD) while there are a very limited water resources in the area. Therefore, a recovery system for produced water has been installed. After extensive tests to optimize the plant performance, a full scale two-stage UF plant is reusing 7,500 m³/d (2 MGD) produced water and recovering chemicals. the opportunity to produce low-salinity reinjection water for Enhanced Oil Recovery (EOR) processes, thereby yielding the overall oil production volumes. The technology applied has several advantages as downstream wastewater and upstream injection water are treated in a single process, resulting in major cost reductions. 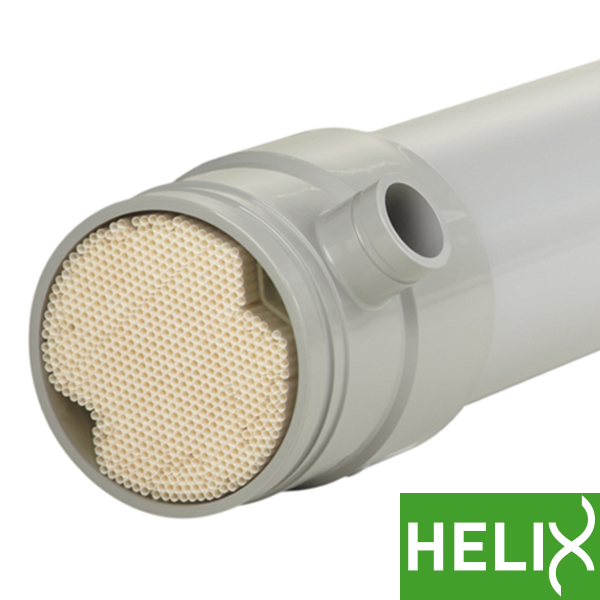 The UF membranes also offer a consistent effluent quality and significantly lower oil, polymer and suspended solids levels, which enables a better performance of the overall system.